Democracy can be messy. In the northeast corner of Spain this week, democracy was downright chaotic. Catalans went to the polls on Sunday to vote in a referendum on whether to stay in Spain or go their separate way. The Spanish authorities, however, declared the vote illegitimate and sent in the national police to disrupt the referendum. In many locales, as the police swept into the polling station to seize the ballots, the Catalans merely hid all the voting paraphernalia. When the police left, the Catalans set up again to register voter preferences, and lines reformed outside. Video footage showed officers from Spain’s national police — 4,000 of whom had been brought in by the government to help quash the ballot — fighting with elderly voters, some of whom were left bleeding, and dragging young women away from polling stations by their hair. The Spanish government has been monumentally stupid. Its case for unity is much stronger than Catalan leader Carles Puigdemont’s case for independence. The Spanish constitution of 1978 speaks of the country’s “indissoluble unity,” while also according Catalonia considerable autonomy. “The Catalan government claims the right to self-determination,” The Economistpoints out. “But international law recognizes this only in cases of colonialism, foreign invasion, or gross discrimination and abuse of human rights.” None of those conditions applies to Catalonia. Sure, the relatively wealthy Catalans are aggrieved that a portion of their economic success is redistributed elsewhere in Spain. But that’s a fundamental element of the modern state. New Yorkers subsidize New Mexicans, London subsidizes Leeds, Germans subsidize Greeks. Catalans can certainly challenge the terms of the economic arrangement — after all, the poorer Basque region doesn’t share much of its tax revenues with Madrid — but neither Spanish law nor international law allows them to gather up all their marbles and go home. The government rushed the necessary legislation for the referendum through the Catalan Parliament without giving deputies adequate time to discuss it. It passed the legislation in a late-night session even though the opposition was absent. It vowed to secede from Spain even if a majority of the population stayed away from the polls. And, taking a page from Trump’s playbook, it has been smearing everybody from opponents of secession to judges doing their jobs as enemies of the people. With only a 42 percent turnout for the referendum, the Catalan authorities have no authoritative mandate for a declaration of independence. Many people who opposed secession simply refused to vote. On the other hand, the Spanish government’s reaction may well have pushed more people into the independence camp. On Monday, thousands of protesters poured into the streets of Barcelona to protest the Spanish government’s actions and assert their popular sovereignty. On Tuesday, unions called a general strike for the same purpose. A nation is therefore a great solidarity constituted by the feeling of sacrifices made and those that one is still disposed to make. It presupposes a past but is reiterated in the present by a tangible fact: consent, the clearly expressed desire to continue a common life. If a majority of Catalans no longer consent to be part of the larger Spanish nation, then the specifics of the Spanish constitution are largely irrelevant. The people will force a change. Given that the younger generation favors independence, demography is on the side of the secessionists. The more polarized the situation becomes in Spain, the less room there will be for the sensible middle option of greater autonomy for Catalonia. In the past, secessionist movements represented not a challenge to the nation-state system, but its ultimate expression. After all, rebellious provinces or peoples want nothing more than to become nation-states themselves. If every nation deserves a state, then how can the international community deny the Slovaks, the Slovenes, and the East Timorese? Secessionist movements were simply the continuation of a process interrupted by historical anomalies like the Soviet, Yugoslav, or Czechoslovak federations, or the often arbitrary border delineations of colonial administrators. But the Catalan case suggests a different kind of future. In this future, economics, geopolitics, and technology all point toward what I’ve called in my latest book: the splinterlands. The architects of the European Union imagined that their new entity would solve the challenge of endless division on the continent. Europe has always been a patchwork of different peoples, all striving for sovereignty over their own territory. People of varying histories, cultures, languages, and religions have been mixed together in a way that has defied any easy drawing of borders. Order has usually come over the centuries by force of arms. In the last century, two world wars were fought to upend those orders, and a third war beckoned. The EU was supposed to change all that by pointing toward something beyond the nation-state. Not only did the EU weaken the powers of the state by appealing to the benefits of something larger — economies of scale, a unified foreign policy voice, greater individual freedoms to travel and work — it also appealed to a “Europe of regions.” According to this project, regions could deal directly with Brussels, bypassing their national governments, and also cooperate horizontally with one another: Provence with Basque country, Bavaria with Lombardy, and so on. Secession would be rendered moot, for Catalans could get what they wanted if not from Spain then from Brussels or other European entities. Alas, it was not to be. Writes Anwen Elias back in 2008, “Regionalist or autonomist parties who saw in the EU an opportunity for organizing political authority on a post-sovereigntist basis were also forced to recognize that, in practice, Europe was still dominated by sovereign states and sovereignty-based understandings of politics.” Even in Europe, the nation-state held onto its privileged position. Attempts to revive the “Europe of regions” to accommodate pressures from below, particularly after the last Catalan referendum in 2014, came up hard against the growing Euroskeptical movements, the continued problems in the Eurozone, and ultimately Brexit. The problem of consent, in other words, has infected the EU as well. Many citizens of wealthier European countries don’t want to subsidize the citizens of less-well-off countries. Europe-firsters have been unenthusiastic about the influx of immigrants that the EU as a whole embraced. Though others threatened to do so, the British have been the first to withdraw their consent entirely. If the Catalans withdraw from Spain, they are also withdrawing from the EU, which would amount to a second defection in so many years. The decision could prove even more costly for Catalonia than Brexit is proving for the UK, since it doesn’t have an economy the size of England’s, hasn’t preserved a separate financial system (and currency), and doesn’t have the same international profile (for instance, Catalonia is not a member of the World Trade Organization). Of course, would-be countries are often prepared to take an economic hit for the sake of independence. But the Catalans have perhaps not factored in just how big a hit they’re going to take, naively thinking that the small bump up in revenues not turned over to Madrid will make the difference. They’re also disgusted, and rightly so, with the economic austerity measures that the EU has imposed on Spain. But little Catalonia will have even less power to resist these forces after independence. Now that the “Europe of regions” has faded into irrelevance, Europe faces more fracture points. As a result of the Brexit vote, Scotland is once again reconsidering its commitment to the United Kingdom, though public opinion polls suggest that a second referendum on independence would fail by a narrow margin just like the first. In Belgium, the largest political force is a nationalist party, the New Flemish Alliance (N-VA), which supports Flemish independence. Of course, the Flemish are the majority in Belgium, and Flanders is doing much better economically these days than Wallonia, but Belgian unity remains a fragile thing. Other regions of Europe are also restive — Basque country, northern Italy, Corsica. Although the Catalan vote isn’t likely to unravel the tapestry of Europe quite yet, other forces are at work in Europe — and not just Europe. Kurds have wanted their own states for centuries. They’ve attempted to carve out autonomous regions in Turkey, Iran, and Syria. Last week, the Kurdish territory in Iraq held a non-binding referendum on independence, which garnered overwhelming support. Baghdad, too, rejected the non-binding vote. But unlike Madrid, the Iraqi authorities did not attempt to stop the vote from happening. Iraq banned flights to Kurdistan airports and imposed sanctions on Kurdish banks. But it didn’t send in troops. The Kurdish government has announced new elections for November 1, and Baghdad seems to be waiting to see what the Kurds’ next move will be. Neither side wants war. As in Catalonia, the referendum wasn’t simply a transparent bid for independence. Kurdish leader Massoud Barzani used the vote as a way to boost his own popularity and that of his party, as well as to make a stronger bid for Kirkuk, a disputed oil-rich area that Baghdad also claims. Regardless of Barzani’s motives, however, independence is clearly popular in Kurdistan. 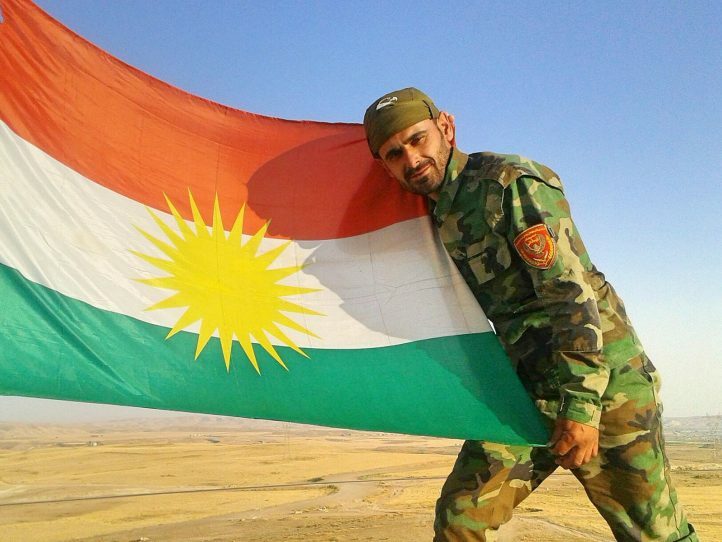 Indeed, it’s hard to imagine the Kurds dialing back their ambitions in Iraq. They’ve been running a de facto state of sorts for years. They thought, not unreasonably, that they could trade their extraordinary efforts against the Islamic State for a shot at real, de jure sovereignty. They’ve even embraced a rather ruthless realpolitik to their ethnic brethren across the borders. Kurdistan has maintained strong ties toward Turkey — despite President Recep Tayyip Erdogan’s crackdown on Turkey’s own Kurdish population — and have been cool toward the de facto Kurdish state of Rojava in northern Syria. But there’s still a huge difference between de facto and de jure. Just as Catalonia can be the string that unravels the European tapestry, Kurdistan can be the string that unravels the Middle East tapestry. Turkey, Iran, Syria, and Iraq all fiercely defend the unitary nature of their states, and the Kurds represent a strong threat to that structure. Moreover, the region is as much of a patchwork as Europe. Yemen and Libya have already effectively fallen apart. Palestinians have been thwarted for decades from having their own state. Turkmen, Shia (in Saudi Arabia and Bahrain), and others might lobby as well for a piece of their own pie. But what if they get their slice just when the pie has become stale and inedible? What’s happening in Europe and the Middle East is part of a larger pattern. The global market has been eroding the power of the nation-state for several decades, as transnational corporations flit around the world to get the best tax deals and the cheapest labor, international trade deals remove key points of leverage that national governments once had over various economic actors, and global financial authorities impose conditions on all but the largest economies that governments must meet or face default. The global market has delegitimized states. No wonder, then, that subnational units are taking advantage of this weakness. Technology has amplified this trend. Communications advances make this global market possible, and the transfer in microseconds of huge amounts of capital in and out of nation-states renders national economic policy increasingly illusory. The Internet and social media have broken the monopoly on national media, providing civic movements (along with global disrupters like the United States and Russia) the means to challenge the once authoritative narratives of the nation-state. What happened in the Arab Spring to authoritarian governments is now happening to democratic governments as well (witness the Brexit vote and Donald Trump’s victory). Finally, in the world of geopolitics, the overarching reasons for ideological unity are gone. The West no longer faces a “Communist threat,” while the East no longer huddles together against the “Yankee threat.” Sure, there’s the Islamic State and its ilk to worry about. But all nation-states see these non-state actors as a threat. The “war on terrorism” hasn’t forced states to give up a portion of their sovereignty for the cause — only citizens to give up a portion of their civil liberties. In the 1950s and 1960s, utopians dreamed of a world government even as dystopians feared a global Big Brother. Today, when the international community can’t even come together to stop climate change, the prospect of world federalism seems impossibly quaint. A much grimmer reality presents itself in places like Libya and Somalia and Yemen: failed states and the war of all against all. Today the world faces a crisis of the intermediate structure. The EU is under siege. The power of nation-states is eroding. If this trend continues, with the world continuing to splinter, the only entities left with any global power will be corporations and religious organizations, a world where frightened people pray to Facebook and the gods of Google that the fierce winds of nationalism and the rising waters of climate change and the random fire of lone gunmen will stay away for one more day.